So far, 2014 has been a volatile year for the stock market. The S&P 500 has gone from its all-time high of 1,850 on January 15 to a low of 1,737 on Wednesday. This is a brutal 6.1% intra-year decline. For the year, the S&P 500 is no down 5.2%. However, these big intra-year drops are very typical of the markets. 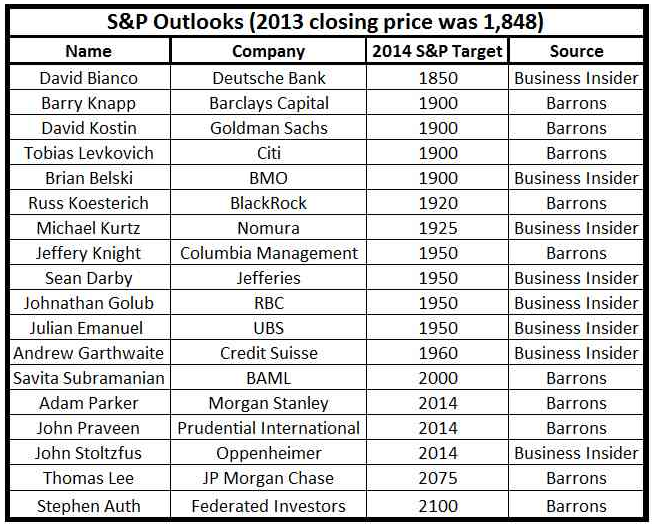 Check out this chart from JP Morgan Funds’ David Kelly. 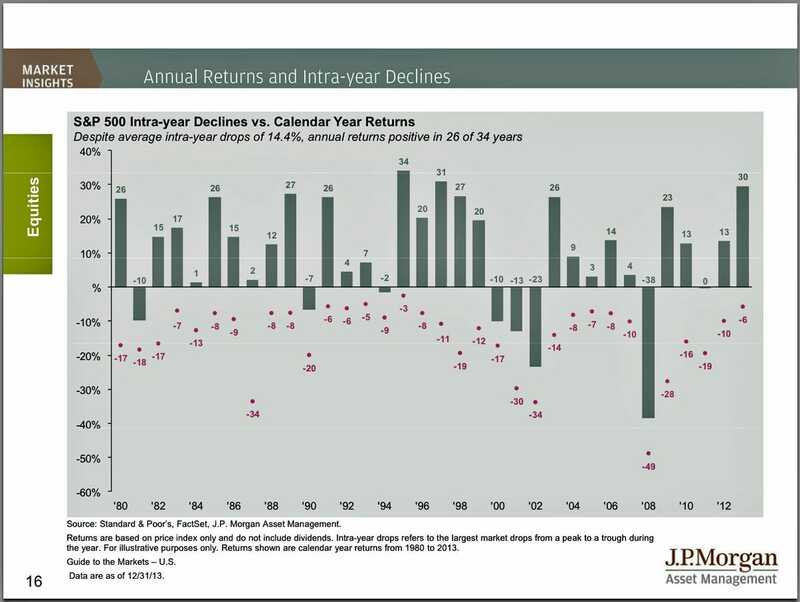 According to Kelly’s research, the average annual intra-year drop since 1980 is a whopping 14.4%. This makes this year’s sell-off look minuscule. More importantly, annual returns during these years have been positive 26 out of 34 times. Yes, the recent volatility hurts. But it’s no reason to freak out. How Hard Is It To Pick Winners In The Commodities Market? 2013 was a really terrible year for commodities, as flagging demand worldwide ate into prices. 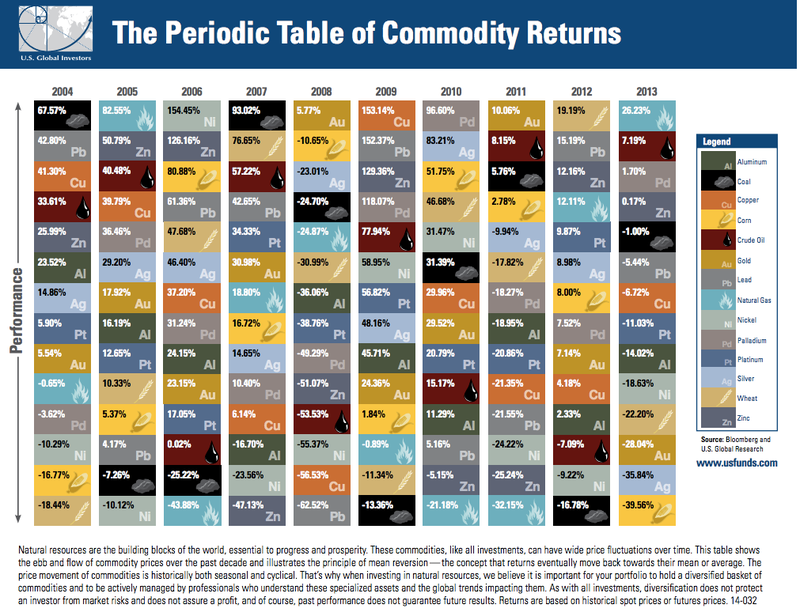 Just four major commodities – natural gas, oil, palladium and, barely, zinc saw year-over-year price gains, according to the “commodities quilt” below from U.S. Funds. Growth in the top performer, natgas, which climbed 33%, diverged 66% from the worst performer, corn, which fell 23%.